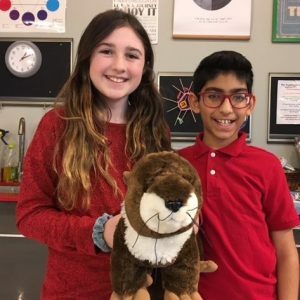 As in every November “Beaver Fever” took the entire school by a storm, no doubt due to Ms. Keri’s unparalleled powers of persuasion… More than 100 students opted to try and show their math beaver prowess and achieve beaver glory. 95%ile or higher: Atley*, Megan*, Eshan V*, Claire A., Isaiah, Tal, Lucy, Keeyan H.
95%ile or higher: Shailah*, Brendan, Tony, Maya J, Michael, Niko, Liz, Artemiy, Aidan J. 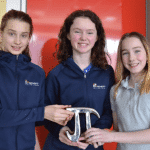 85-95%ile: Syrah, Amelia, Pria, Grace, Liam F.
· Almost half of the Renert students who wrote ranked in the top 25% in Canada, competing against Canada’s strongest (kids who elect to participate in math contests are the top ones across the country). · Roughly one third of our competitors (32 students) ranked in the Top 10% in Canada, a highly significant achievement. It is always a joy to see kids who rank very highly for the first time, beating their personal bests and our every expectation. Among them are Lucy, Keeyan, Michael, Irmak, Ethan S, Max and Khaled. 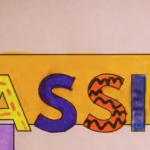 · Atley, Megan, Eshan V, Shailah, Mukund and Ian all wrote perfect forms, getting each and every question right (VERY rare). · Three of our top students joined Renert this year (they are marked in green). Welcome, and great having you on board. · We had 9 very young (Grade-4) students writing, of whom Claire and Nolan were top 10% in Canada on the Grade 5-6 Form. Our future is in good hands. 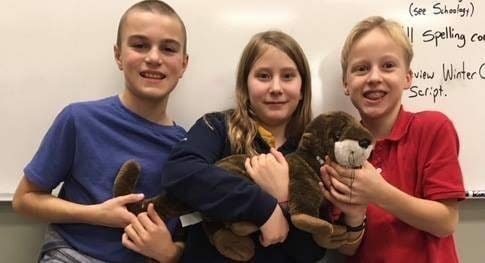 And here are some of our top producers holding a beaver (otter, really, but this is the closest we found in the building).